There is little doubt that we are in a golden age of media overall, as content is available everywhere and across all devices. 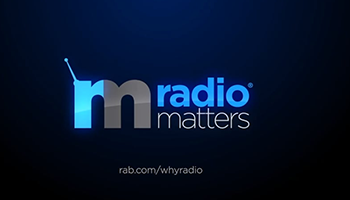 Yet, according to Nielsen’s second quarter 2017 Comparable Metrics Report, radio remains the top way to reach consumers across all media platforms – 93% A18+. And radio also provides advertisers with effective digital opportunities to compliment and extend its large over-the-air audience. Such as: streaming, on-demand podcasts, HD radio, NextRadio, and pure plays... the list continues to expand. Radio’s social media websites provide advertisers with new ways to relate to the enthusiastic radio audience. As smart marketers, we must look ahead to understand these drivers of change and signals of progress to navigate forward. The media landscape is vast, complex with technology changing the way consumer’s engage with media and radio remains the best way to reach consumers across demographics.